Are Older Insured’s Doomed to Pay More? Why is the Cost of Insurance suddenly rising?! Is there anything that insureds can do? For decades, carriers explicitly said that COI increases were unthinkable. In this article, the author identifies the reasons given by four carriers for COI increases and looks at what some other carriers have done to mitigate COI increases. This is particularly important for older business owners seeking liquidity. One of the challenges all professionals (including life insurance agents) face is explaining the moving parts of a life insurance contract to clients. 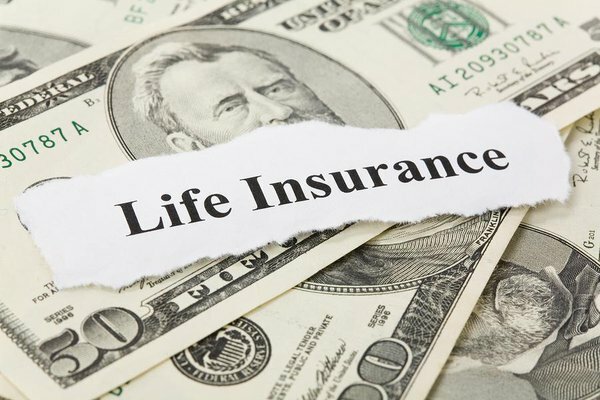 Indexed Universal Life, Current Assumption Universal Life, Whole Life, and Variable Life constitute the majority of all permanent (non-term) life insurance sales. Each of these relies on projected costs of insurance (COI) as a key determinate of their pricing model. In fact, even Guaranteed Universal Life contracts contain a projected mortality component, it’s just baked into the carrier’s side of the risk equation. In “unbundled” products, such as Indexed Universal Life, the gross cost of mortality is determined by subtracting the cash value from the death benefit and multiplying by the monthly projected COI. With Whole Life, the mortality component is bundled into the dividend projection and is often an expression of the profitability of the block of business. Meaning, if a carrier experiences worse than expected mortality results, the costs may be passed along to the consumer either in the form of an explicit increase in the monthly deductions, or in the form of a reduced dividend. Either will cause the contract to require additional premiums to maintain the coverage to the anticipated end date. Over time, life insurance professionals have become accustomed to explaining to clients that carriers increase the COI at their own risk, since new sales would be hard to achieve if the buying public perceives this behavior as “bait and switch”. And, until 2015 the instances of carriers raising the COI rates were extremely few and very far between. Not anymore! This year four carriers (so far) have announced increases in COI rates which affect a varying degree of their customer base. Those carriers are William Penn/Banner, Transamerica, Voya, and AXA. If you were aware that all are foreign owned carriers, you might assume that this is the common thread. On the surface this may appear to be a response to Solvency II, the new reserve requirements for European banks. But meetings with these carriers tell a different story. William Penn/Banner told us their permanent business was unprofitable due to low interest rates and poor mortality experience. They decided the only way to increase profitability was to increase mortality costs across the board. All permanent policyholders are affected by this change and should be advised to request an in-force illustration as soon as possible. Transamerica increased mortality costs for a substantial block of older policies written in the late 90’s. Again, this was to make the block of business more profitable. Due to the fallout from this announcement, Transamerica has instituted a rule that all in-force illustrations for these products must be illustrated at the guaranteed mortality rate. This will have a huge impact on affected policyholders and should be addressed immediately, if possible. Voya has not responded to our questions asking they identify the specific block of their policies that have been affected by their rate increase. When we questioned our regional VP, the response was they have notified the affected policyholders but were not prepared to disclose to their distribution partners the scope of the increase. AXA recently increased COI rates for a block of 1,600 policies they determined had particularly bad mortality experience. Upon further questioning, officials from AXA pointed out that these policies were selected based on their pattern of premium payments (i.e., the policies in question are those for which the owners are paying pure cost of insurance rates instead of the full planned premium). Since paying the minimum premium to maintain the policy is a perfectly legitimate way of maintaining a policy, this would seem to be a direct swipe at life settlement buyers, where this method of premium management is common. AXA’s representative would neither confirm nor deny this. The common thread among the cost increases implemented by these carriers is that the people most affected are age 70 and older. This is because the most expensive cost of insurance rates occur as insureds approach or surpass expected mortality. Adding to the pain, interest rates which are the root of the problem, have been stubbornly low, compounding the funding issue for insureds who cannot change coverage. As advisors we should all be shocked at the cavalier attitude these carriers seem to have taken towards an issue that adversely affects so many older insureds. For decades we have been explicitly told by these carriers that COI increases are unthinkable. Think again. And, there is nothing stopping other carriers from following suit now that these carriers are taking the brunt of the public relations pain. This is not to say all carriers operate with the same callous attitude towards their clients. At John Hancock this issue was dealt with in 2008-2009 by taking a huge write-down that affected shareholders, not clients. Since then John Hancock has been a prolific innovator with products and services designed to manage both interest and mortality risk. The latest evidence of which is a reduction in COI to policyholders of their Protector series of policies. Proving that carriers can succeed by putting their clients’ needs ahead of shareholders when necessary. This unprecedented pattern of events requires action from the advisor community. If you advise clients who own life insurance policies issued by the carriers named above, you should consider contacting them to encourage them to obtain updated policy information. A full policy audit is highly recommended as it will not only identify the issues, but offer potential solutions. If your clients are unable to change coverage due to health issues, you need to work with them to find other solutions such as reducing the face amount or surrendering paid-up dividend additions. The one thing clients should NOT do is ignore this problem. Helping them get out ahead of this issue now shows your clients why they value your advice. Now, more than ever before, we all need to recommend that our clients have policies audited regularly. We can no longer trust that someone else will do the right thing. Gary DeVicci, MSFS, CFP, heads CPI Companies’ planning team, with responsibility for the suitability elements of their PolicyAudits.com services. PolicyAudits.com is designed to help policyholders save money and improve their benefits or guarantees. It is independently operated on behalf of the policyholder; it is not allied with any life insurance company. Mr. DeVicci can be reached at (856) 874-1250 or e-mail to garyd@cpicompanies.com.